We can help you to claim compensation for delayed flight, cancelled flight or denied boarding. Under the Carriage by Air (Montreal Convention, 1999) Act (Chapter 32B), you are entitled to claim for up to 4,150 Special Drawing Rights. In the United Kingdom, we can help you claim for compensation up to £4,371.96 for your cancelled, delayed flights. The Montreal Convention is a treaty with more than 90 countries subscribing to it. It is applicable to cases involving the shipment of cargo among the subscribing countries, meaning that it applies to many international flights. We can help you with delayed flights from Pakistan, Nigeria, and India. Article 19 of the Montreal Convention provides that a carrier can be liable for damages to passengers caused by delay in transportation. If you had a delayed or cancelled flight in the last 6 years we can help you claim compensation. 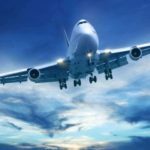 The right to damages will be forfeited where the action is not brought to the courts on time either from the date of arrival at the destination or from the date the aircraft ought to have arrived. In the landmark case of Dawson v Thomas which was taken to the Court of Appeal. The landmark ruling of Dawson V Thomson Airways Ltd created binding case law in flight delay compensation, allowing UK residents to claim compensation for delays as far back as six years. You can make a claim if you were delayed when leaving United Kingdom or returning to the United Kingdom. We are able to assist you all the way till you receive your settlement. In the case of Nelson v Lufthansa; TUI v CAA ECJ joined cases C-581/10/C629-10, these cases confirmed where a flight has been delayed for over three hours passengers can be compensated as though their flight has been cancelled. Where your flight was delayed for over three hours, contact us and we can help you claim for compensation. If you were delayed and had to spend on food, clothes or accommodation, we include it in your claim, all your losses are included in the claim. If your flight was diverted, we can claim your losses. 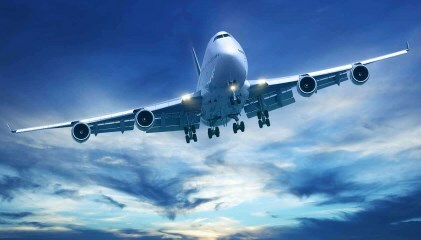 Claim the flight delay compensation that you deserve, Rodman Pearce Solicitors offer a no win no fee service. 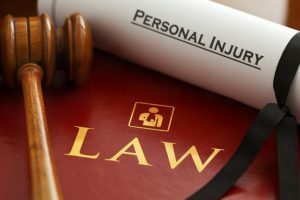 Whether you’ve been terribly injured in a tragic accident or you feel that someone has been wrongly and untruthfully criticizing you in newspapers or online, you might have the need to call upon a civil litigation solicitor law firm. There’s a reason most people use specialized law firms for specific needs rather than having one lawyer who they know and trust personally: even though you may feel like he’ll do his best to represent you, and even though he might in reality be trying to do his best, one non-specialized lawyer will always have areas where his expertise is not up to the challenge of today’s complex legal frameworks. This is where a civil litigation solicitor law firm is highly necessary, since a large law firm will always have many highly experienced lawyers who will be able to call upon each other’s expertise even if they themselves do not know everything about the situation. They will also have more personnel and resources to devote to your case, so you know that you are getting the highest level of personal service and faith in your lawsuit. This is certainly better than just going to one overworked personal lawyer, who might have several cases going on at one time and might not be able to devote his full time or attention to your case. It’s also certainly far superior to trying to represent yourself in court, which experts have found to have a success rate of less than one success for every three thousand failures. This is mostly because judges and juries do not trust the expertise of someone who represents themselves in court – often, judges and jury members will see someone who tries to represent themselves as a nut job. I have had a lot of experience with hiring civil litigation solicitors in the UK, because I have lived in the UK all my life and, like many people, I have dealt with civil litigation suits many times in my long life. I have been both a plaintiff and a defendant in civil litigation suits, and I have tried many different types of law firms and independent lawyers, and I have found without a doubt that civil litigation solicitor law firms are the best option for just about anyone in the UK. One time, I slipped on a patch of ice outside an optometrist’s office – this was my first experience with the civil litigation system. I twisted my ankle and fractured my coccyx (that’s the tail-bone), and since I work as a professional, high-end landscape artist, I could not be seen hobbling around on crutches with a giant pad on my rear end, as it would make it hard to attract potential new clients. This is one secret I have learned about attracting clients to my landscaping business – if it does not look like you can take care of your own body, no one will believe that you can take care of their landscapes. In any case, my business operations and my rate of acquisition of new clients for my high end landscaping business suffered severely. As a result, I felt I was owed some compensation by the optometry firm whose footpath I had injured myself on, since my injury was primarily a result of the fact that their footpath was icy and horribly unsafe. This time, since it was my first time dealing with the civil litigation system, I tried representing myself in court – big mistake! It turns out that, since I am not a lawyer, I did not know very much about how the civil litigation system worked. My case ended up getting thrown out of court on the grounds that several people had seen me wearing roller skates at the time of the accident, so they said that I had taken that risk upon myself and the fall and injury was mostly my own fault. I thought this was ridiculous – I am a very experienced roller skater, and I certainly would not have fallen if that patch of side walk had not been dangerously icy. Nonetheless, my lawsuit failed, and I was very upset – not only was I away from my business for three months because of their negligence, they got off scot-free. I had learned my lesson from this experience, so the next time I slipped and fell (this time it was because the floor in a certain fast food restaurant was slick with grimy water) I retained the services of a lawyer that my mother had known for many years. He had helped her get out of a vast number of legal difficulties, so I thought that he might be able to help out with my situation. This time, when I fell, I knocked my head about terribly, and I woke up with a severe concussion, the pain and cloudiness of which has remained with me to this day. This case, too, ended up getting thrown out – there was something about having been a sign that said “wet floor” but certainly I did not see this sign, or else I wouldn’t have walked onto that floor so carelessly – I’m not a moron. This time, I smartened up, and hired the services of a civil litigation solicitor law firm, and they won me a nicely sized settlement – I think their argument was that since I am old and nearsighted the sign did not provide me with enough of a warning. Thank God they were there for me. Designed by Web Design Croydon.